When an incredible nation as big as India undergoes a change even the US president elections and events alike fade away into oblivion. 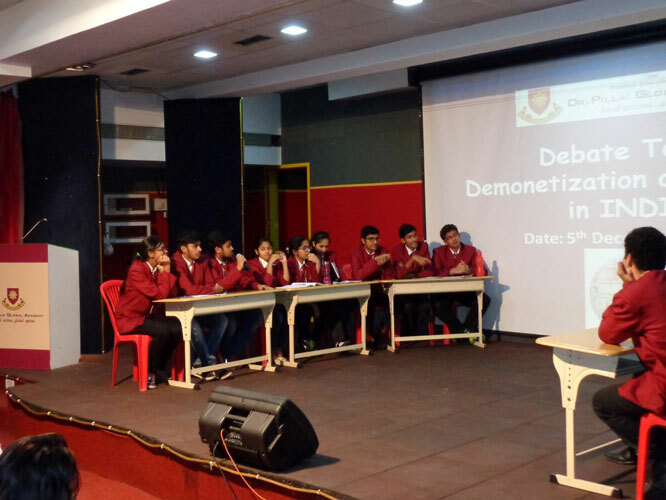 It was but natural then, that when the demonetization news flashed on TV screens every citizen of this country diverted this surcharge of energy towards implementing this change – in the literal sense! 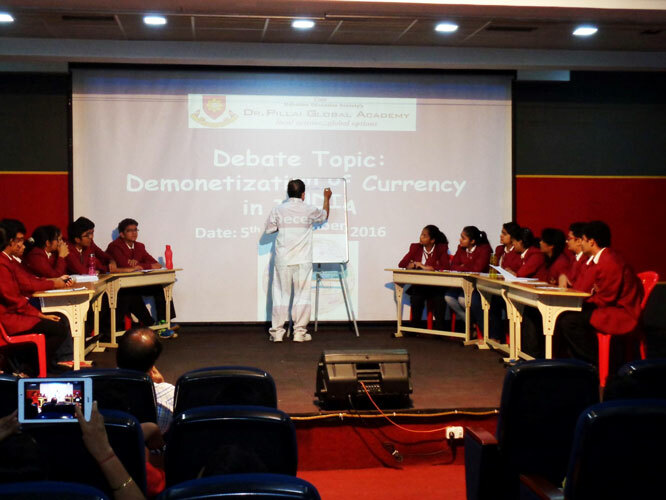 A fornight after this, when our IB and `A’ Levels students at Dr. Pillai Global Academy reflected upon this, they entered into a discussion. 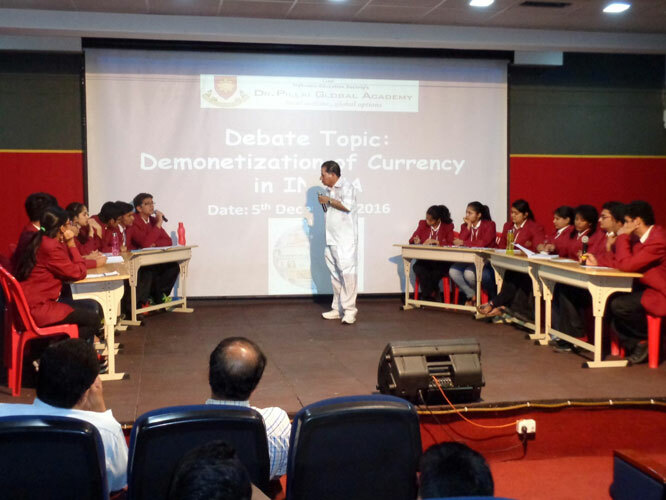 This then formally took the shape of a debate on demonetization. 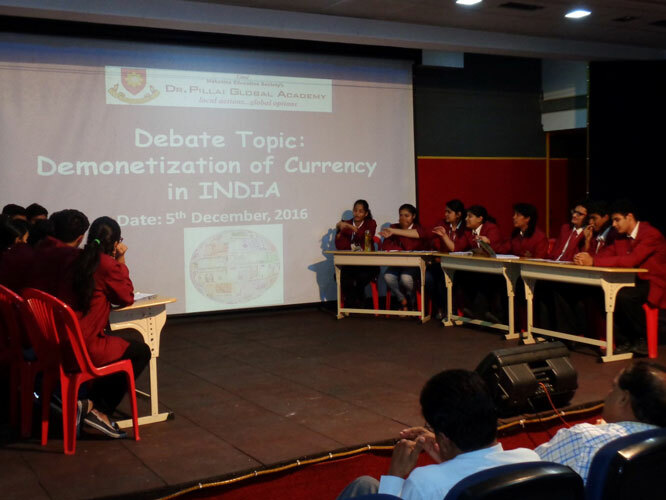 Dr. K. M. Vasudevan Pillai was invited as the chairperson and the Co-chair was our Dy. CEO, Madam Sharda Sharma. The jury of appeal consisted of our Principal, Director and staff members. The insight and the deep research projected during the debate left the audience in awe. 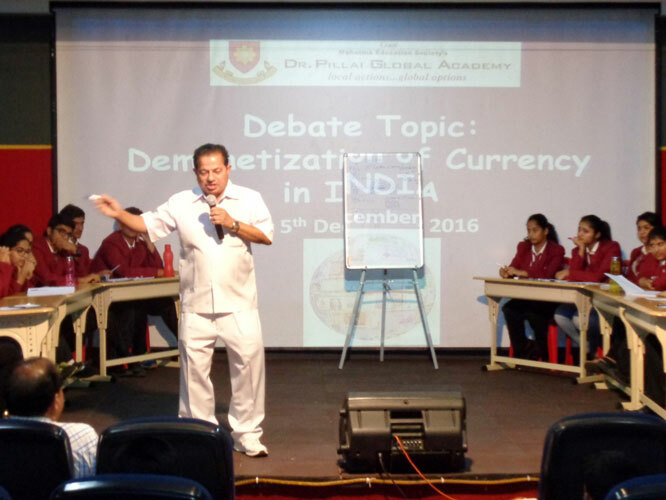 India’s “Demonetization” is a cautionary tale of the reckless misuse of one of the most potent of policy tools: control over an economy’s money. It will cause deflation in the market as people who have earned money through illegal ways would be afraid to declare the money as they may be prosecuted by the IT department on the legitimacy of their income. By replacing all the Rs. 500 and Rs. 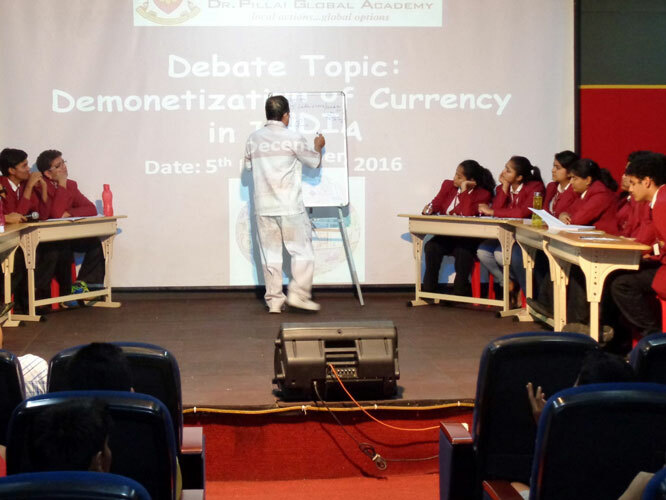 1000 demonetization notes, as ordered by the government, could cost the RBI at least Rs. 1200 crore. Burden in exchanging notes to common people. 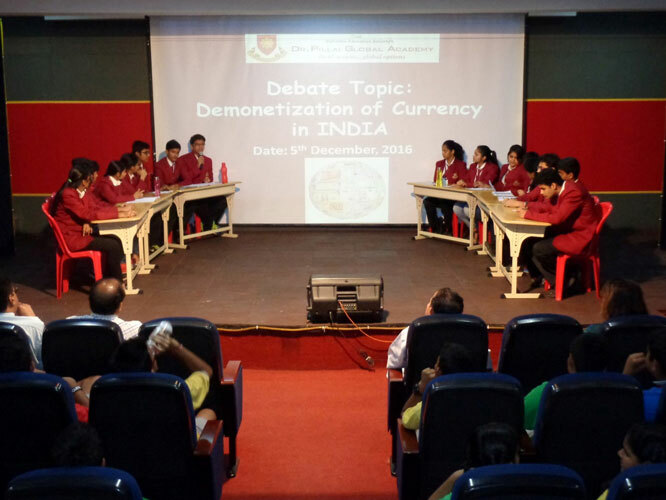 The Debate ended with an awe inspiring session by Dr. K. M. Vasudevan Pillai where he sensitised the students towards the issues related to gold and the ill effects of illiteracy and corruption. 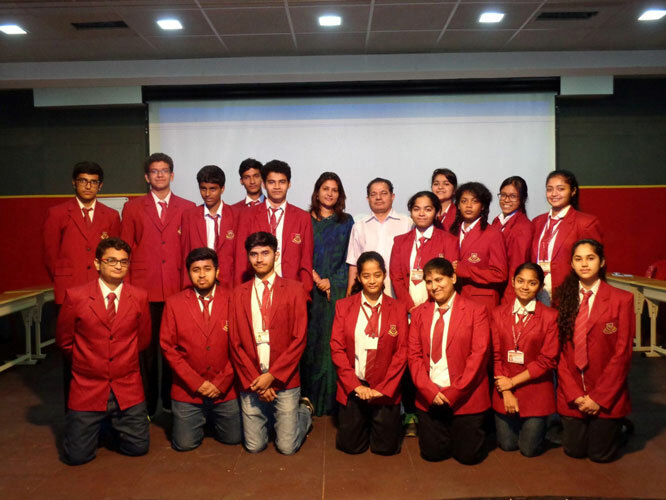 This session marked the beginning of an era where the current generation speaks its mind and puts forth solutions and recommendations for the government towards effective implementation.